to the advancement of science and technology in the national interest. developed and maintained by the company that manufactured the hardware. developer left the company, you would find maintenance to be a nightmare. modifying the software based on changes in user requirements. in something as mundane as ovens to the robots used in car plants. 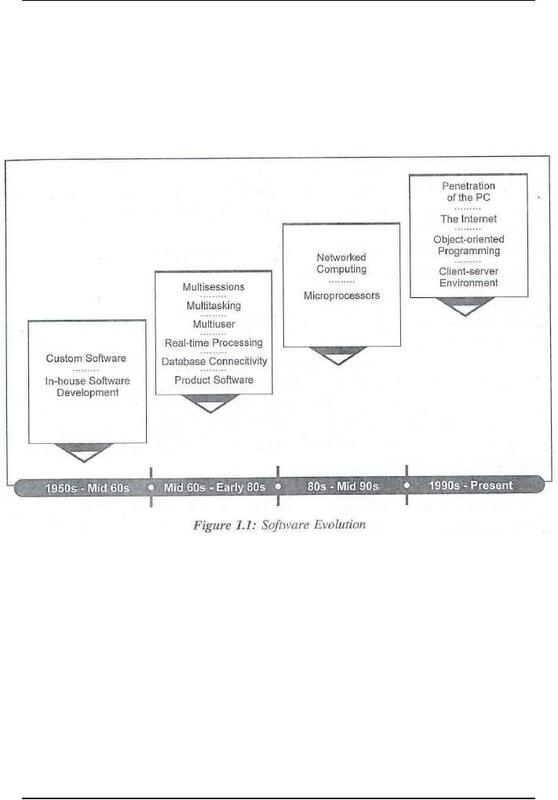 The fourth, and current, phase of software evolution began in the early 1990s. distributed computing, network computing, and object-oriented programming. This phase also witnessed the growing popularity of personal computer (PC). ­ Software developers used-multiple programming languages. ­ Software developers poorly mapped requirements to the actual product. ­ Software developed had low interoperability. ­ Software maintenance was costly. requires better software to operate it). In contrast, the situation in the present times has changed to a large extent. Software costs have risen, although hardware is purchased easily off the shelf. costs, and a large number of errors in the finished product. can replace direct contact between the project manager and the development staff. their work has been completed. or bi-weekly, and should contain at least the following three sections (see Fig. Chapter 10 for a description of the WBS). report period. The description of each activity should span one to two lines. not correspond to the previous report's Section 2.
easily done when the reports are prepared and submitted by electronic mail). submitted to the project manager only on request. 1.1 The design of the user help screens (activity 3.12.6) was completed on schedule. The design specs were submitted to configuration control. currently behind schedule by about 1 week. completed, and unit tests will be started. is then submitted to top management. synchronize the activities of the project to result in a perfect presentation. understanding of the larger framework of software project management. software projects share the same methodologies, techniques, and processes. the complexities and uncertainties involved in the software project. 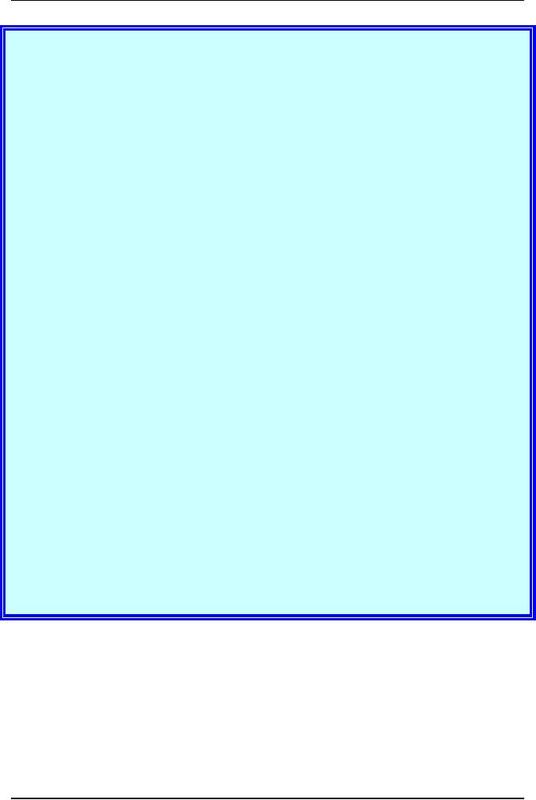 something associated with the software project, such as user manual or testing. when all activities are complete. initial phases of the project. SDLC. Their level decreases as the project progresses.